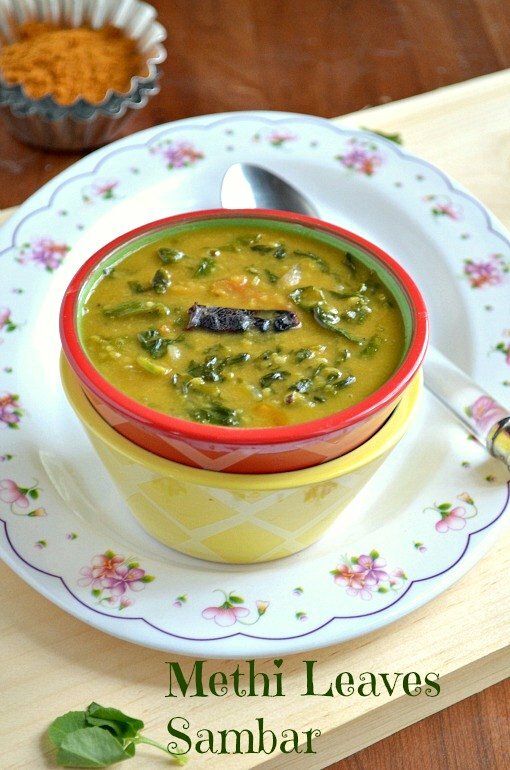 Today's recipe is a healthy and flavorful sambar with fenugreek leaves,tastes delicious with steaming white rice. 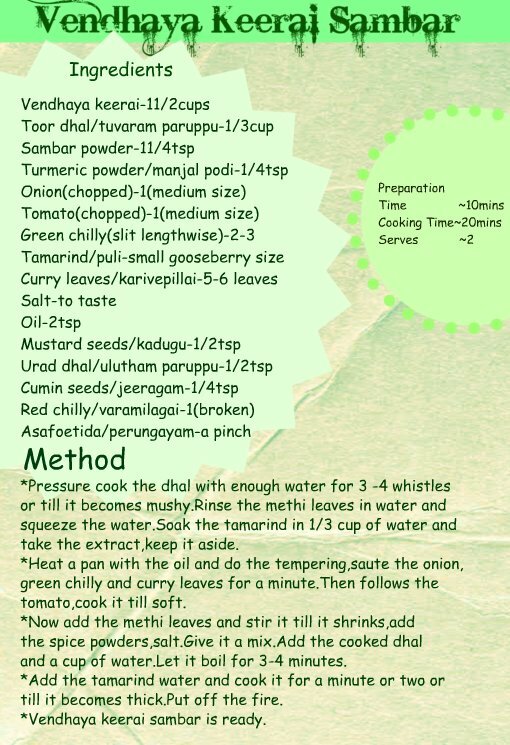 Pressure cook the dhal with enough water for 3 -4 whistles or till it becomes mushy.Rinse the methi leaves in water and squeeze the water.Soak the tamarind in 1/3 cup of water and take the extract,keep it aside. Heat a pan with the oil and do the tempering,saute the onion,green chilly and curry leaves for a minute.Then follows the tomato,cook it till soft. Now add the methi leaves and stir it till it shrinks,add the spice powders,salt.Give it a mix. Add the cooked dhal and a cup of water.Let it boil for 3-4 minutes. Add the tamarind water and cook it for a minute or two or till it becomes thick.Put off the fire. 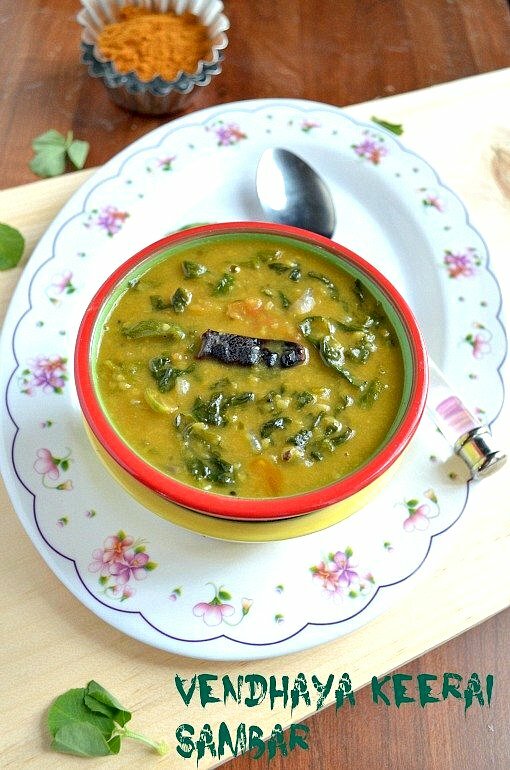 Vendhaya keerai sambar is ready. Serve it with rice,pappad and some fry. Here I didn't chop the methi leaves,if you want you can chop it finely. If you don't want to use tamarind use one more tomato but the tanginess from the tamarind makes it more tasty and delicious. From here I can guess how aromatic the sambar is, delicious. 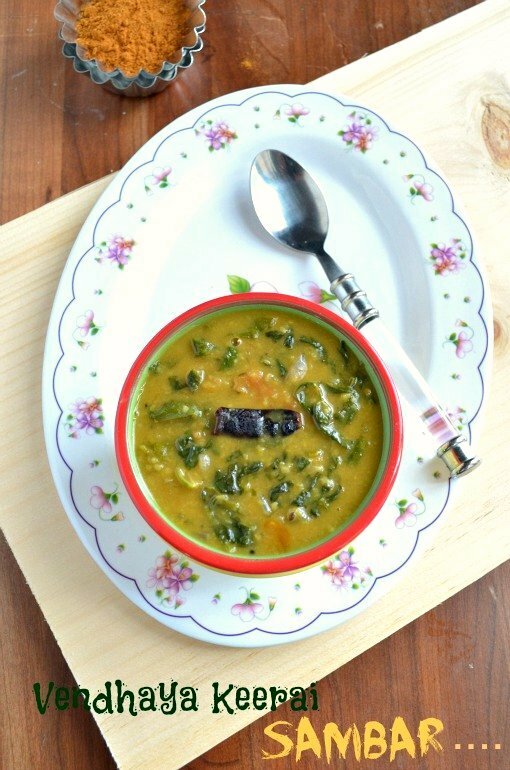 love this healthy n flavorful sambar...looks inviting Nalini! 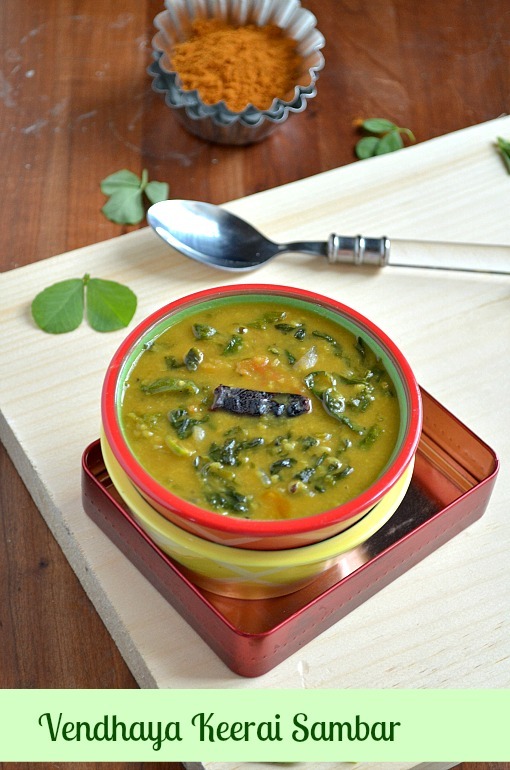 Very healthy and delicious sambhar..
Looks wonderful! I love methi in pretty much any dish!